Our brand was officially launched at the H-E-B floral show last month, and we had a great time getting to know everyone. You can now find us in the floral section of your nearest H-E-B store, where you can pick out the right plant to match your personality and home! All H-E-B florists will be able to help guide you through the plant offerings from Max & Miles™, but if you want to get a head start, be sure to take our Max or Miles quiz to get to know our plants. 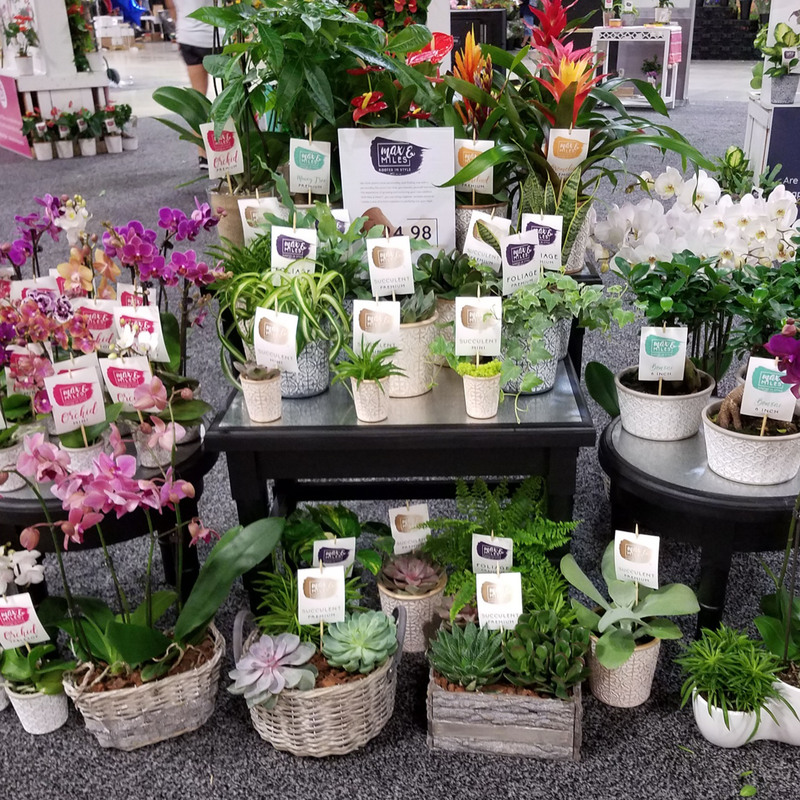 We can’t wait to hear from YOU about your favorite Max & Miles™ plants, but since you haven’t told us yet, we’ll share what our friends at the H-E-B floral show loved! To put it simply, our plants are great, our people know how great they are, and we can’t wait to help you find the next great addition for your home. We’re a little biased, but we think you’ll agree once you come see them for yourself. Follow us on your favorite social media platform (Instagram, Facebook, and Twitter) and keep an eye out for new offerings in your store weekly! Shop Max & Miles™ at your nearest H-E-B store today and tag us when you find Max & Miles at a store near you.